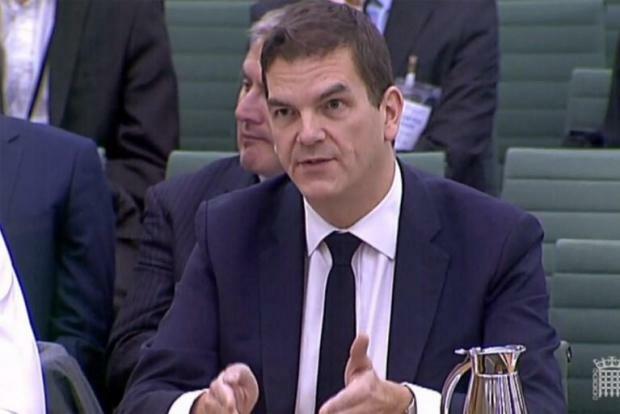 Olly Robbins was overheard talking to colleagues in a Brussels bar. The British government denied Wednesday it was secretly plotting to force MPs into a last-minute choice on Brexit between a rejigged deal or a lengthy delay. ITV television reported that it had overheard Prime Minister Theresa May's chief Brexit negotiator Olly Robbins in a Brussels bar saying the European Union would probably let Britain extend its March 29 departure date. He was said to have indicated that if lawmakers - who overwhelmingly rejected the deal struck between London and Brussels - did not vote for a rehashed withdrawal agreement, then the delay to Brexit would be "a long one". "The issue is whether Brussels is clear on the terms of extension. In the end, they will probably just give us an extension," he was quoted as saying. "Got to make them believe that the week beginning end of March... Extension is possible but if they don't vote for the deal then the extension is a long one." A government spokesman said: "We would not comment on alleged remarks from a private conversation which is said to have been overheard in a hotel bar." "We are committed to leaving on March 29," he told BBC radio. "It is not in anyone's interest to have an extension without any clarity." May on Tuesday asked MPs for more time to try and revive the Brexit deal in what the opposition said was a ploy to "run down the clock". She said the talks were at a crucial stage and MPs needed to hold their nerve to get changes to the withdrawal agreement -- notably the insurance provisions on keeping the border with Ireland free-flowing. Keir Starmer, the main opposition Labour Party's Brexit spokesman, said Wednesday that May was stringing parliament along "pretending there's progress".